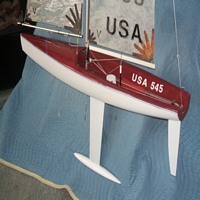 Due to length it can be shipped at reasonable price to all locations where the big brother needs to be shipped by expensive courier. 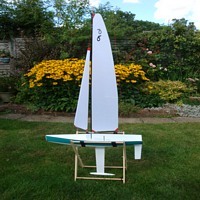 The FireDragon-1000 was designed by Roland, one of our friends. 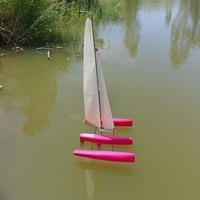 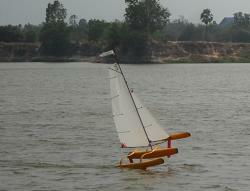 It is a slim hulled boat, with a 115mm center hull and slim floats. 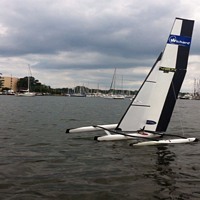 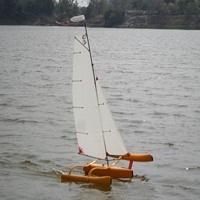 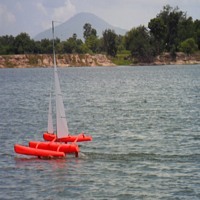 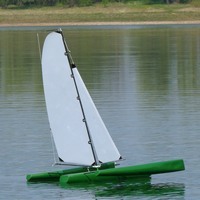 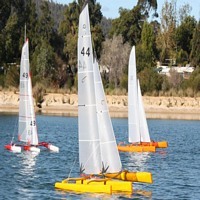 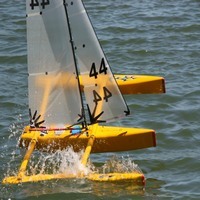 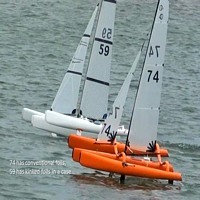 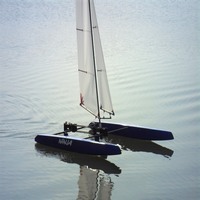 The boat is comparable to the larger FireDragon and can be sailed in the Mini40 class as well. 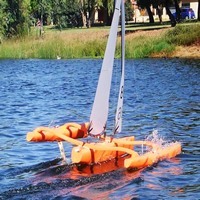 Our FireDragon 1000 is a very stable, yet agile boat. 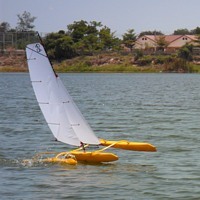 This boat is suitable for beginners as well as advanced multihull sailors. 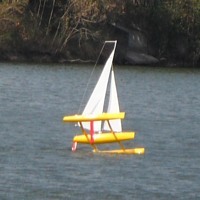 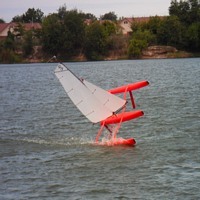 The FireDragon-1000 can be upgraded with optional V-foils and T-foil rudder.